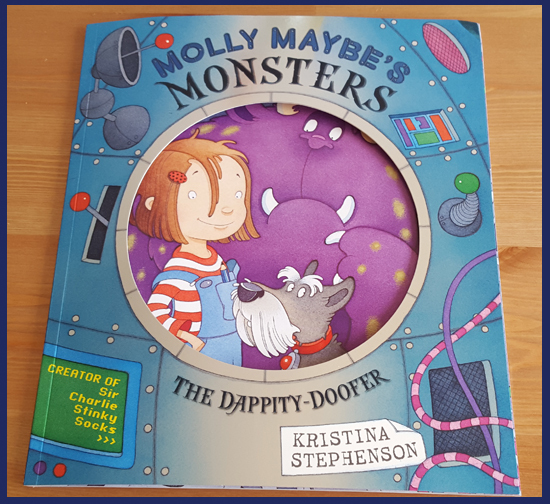 The second of the books we reviewed this month was Molly Maybe's Monsters: The Dappity Doofer. 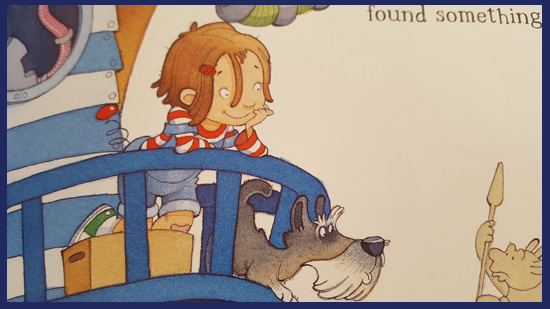 The new adventurer Molly Maybe was born from author / illustrator Kristina Stephenson, who is famed for her Sir Charlie Stinky Socks series. We are loving the new book! 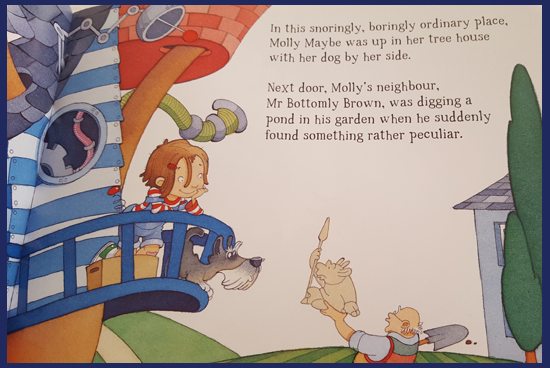 Molly Maybe and her dog Waggy Burns can travel to another world - a world of Monsters - well, that's a hit with my boy for a start. 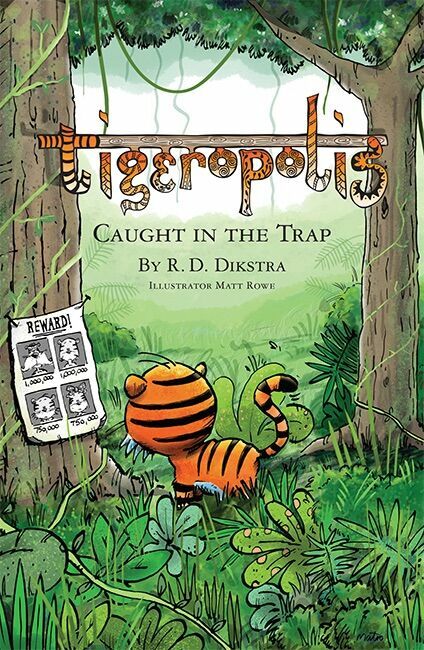 The story is beautifully written, with pages you turn sideways to read and the illustrations so detailed you could (and we do) get lost in the pages with discussions as to what is going on, what we can see and how many different monsters we can spot. It's a good 'long' story for us and we only usually get through this book before Max is off to sleep (rather than a couple of books), it has taken us a few goes to get through to the end and for a couple of reasons. 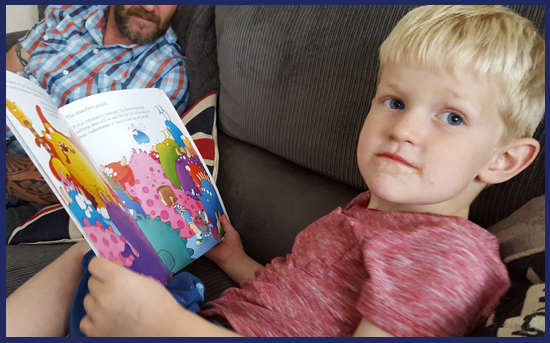 Firstly if Max is very tired he just can't stay awake to hear the end of the story and secondly, because of the detailed illustrations on each page, we will stop reading and discuss what we can see - hence not getting to the end of the book, but sometimes, sometimes we get to the end. I always let Max choose his books at bed time and whilst he does love his dinosaurs he has actually picked this one up on occasion too. For that reason it's a good book in our house. About the author: Kristina left her career in theatre and children's TV after the birth of her first child and turned to illustration, soon creating the best-selling Sir Charlie Stinky Socks books. Kristina's sell-out events compare only to Julia Donaldson with songs and interaction throughout - something I would very much love to take Max along to. The book can be purchased from Amazon - currently for £6.29 and is selling rather well too. I would recommend this book for 3+ years as is the guidelines and can see this being another hit series for Kristina Stephenson. 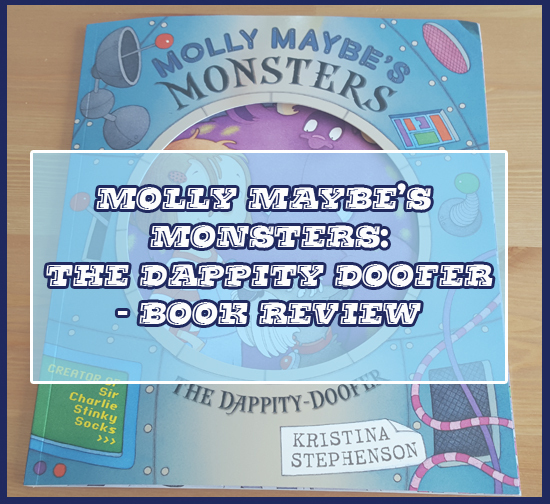 Disclaimer : I received Molly Maybe's Monsters: the Dappity Doofer from The Big Shot to review. The above wording is all my own and not influenced over product received.